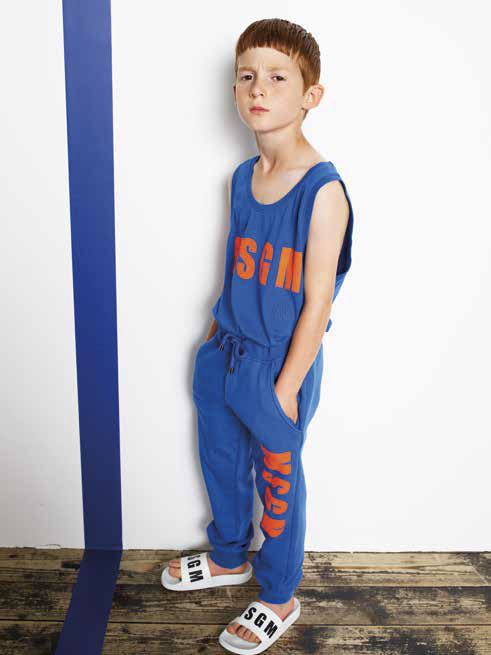 Kid’s Wear - MSGM Kids and Their Wild Zoo! MSGM Kids and Their Wild Zoo! 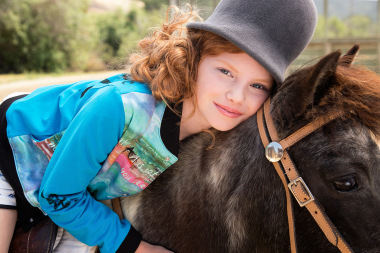 Diary / Fashion / MSGM Kids and Their Wild Zoo! Zebras, monkeys, toucans… in bright exploding colours! In addition, quite eccentric applications of plexiglas on ottoman fabric, exuberant ruffles, artistic silk embroidery on denim, skate pendants and exotic good-mood-flower-prints! … also those very special cuts: the pants are cropped and spread on the bottom, beautiful flared skirts combined with embroidered shirts, exciting one-shoulder dresses adorned with precious applications, dungarees and long knitting clothes. That special way to mix colours and materials is fascinating… and we especially love the sandals, slippers, bags, gymnastic shoes and backpacks… to complement that sophisticated sunny approach of the Italian designer Massimo Giorgetti who launched MSGM in 2008, with loads of passion and highly influenced by Indy rock and contemporary art… his handwriting: luxury mixed with a free thinking rebel spirit… quite unique!